Vodafone has agreed to acquire the operations of Liberty Global in Germany, Hungary, Romania and the Czech Republic, in a deal worth €18.4 billion. The transaction is predicated on the potential to cross-sell fixed and mobile services in these markets. The acquisition of Virgin Media in the United Kingdom was not on the table this time but could still be on the cards. The long-anticipated deal involves around €10.8 billion in cash to be paid to Liberty Global, and taking on €7.6 billion of existing Liberty debt. It is expected to complete in mid 2019, subject to regulatory approval. The deal falls short of a European mega merger. However, it could create a challenger to Deutsche Telekom through the acquisition of Unitymedia, the second largest cable operator in Germany, combined with the former Kabel Deutschland operation previously acquired by Vodafone. The fixed network operations of UPC would complement the existing mobile businesses of Vodafone in the Central and Eastern European markets. “This transaction will create the first truly converged pan-European champion of competition,” said Vittorio Colao, the group chief executive of Vodafone. 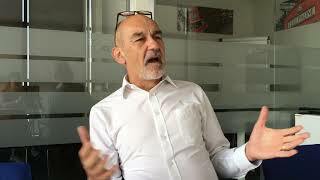 He described it as a “step change” in the transition to a gigabit society and said Vodafone is committed to “accelerating and deepening investment in next generation mobile and fixed networks”. The acquisition would make Vodafone the leading next generation network owner in Europe, with 54 million cable or fibre homes, serving the largest number of mobile customers and households across the European Union. 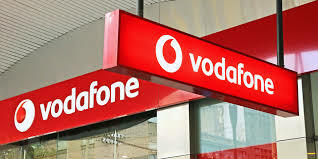 Vodafone expects to use its brand to accelerate the growth of the combined businesses. That includes cross-selling fixed line services to its existing mobile customers and its mobile services to existing Liberty Global customers. In Germany, the combination of Vodafone and Unitymedia will create the leading fully converged national challenger to the dominant incumbent with the scale to invest in upgrading around 25 million cable households to gigabit-speed connections in just four years. Liberty Global would provide services to Vodafone for a transitional period of up to four year, while the businesses are integrated into Vodafone Group. Following the transaction, and the pending sale of its Austrian business to Deutsche Telekom, Liberty Global says it will continue to be the leading cable television and broadband provider in Europe, with consolidated operations in the United Kingdom, Ireland, Belgium, Switzerland, Poland and Slovakia. These operations reach 24 million homes, account for 26 million video, broadband and fixed-line telephony subscribers and 6 million mobile services. Liberty Global also has a 50% stake in VodafoneZiggo, the joint venture in the Netherlands with 4 million customers. However, it is not clear how these assets will continue to fit together strategically. Further transactions seem likely. Liberty Global lost 10,500 enhanced video subscribers in Germany in the first quarter of 2018, taking its total to 1.64 million. It has a further 4.68 million basic video subscribers in Germany, a number than fell by 20,800 in the first quarter of 2018. Liberty Global gained 19,700 enhanced video subscribers in Hungary, Romania and the Czech Republic, with a total of 1.64 million. Including basic cable and satellite it has a total of 2.87 million television customers in those countries, with a total loss of 9,800 in the quarter. The Vodafone deal with Liberty Global does not include Virgin Media in the United Kingdom, for the moment at least. Virgin Media added 12,800 television customers in the first quarter of 2018, its seventh consecutive quarterly increase, taking its total to 3.84 million. The possibility that Vodafone could yet acquire Virgin Media should still not be ruled out.